I am a Senior at the Pennsylvania State University majoring in Broadcast Journalism option Communications and minoring in Youth and Family Education. 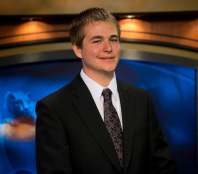 My aspirations after graduation are to work in the journalism field as a news reporter and/or anchor. I am currently the Executive Producer for the Centre County Report, an award-winning newscast produced independently by students in the College of Communications at Penn State. During my time at Penn State I won 3rd Place in the Radio News Reporting category of the Society of Professional Journalists' Mark of Excellence competition. I was also apart of the Centre County Report news team who won Best of Festival in the Student Newscast category of the Broadcast Education Association's King Foundation competition.